You're reviewing: Microsoft Office 2016 Student Digital . Microsoft Office 2016 Student Digital . 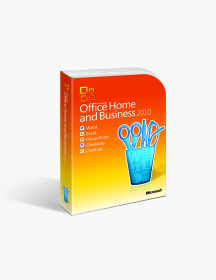 Microsoft Office 2016 arrived with the promise of offering profoundly advanced tools to promote creation, customization, storing and sharing of files. The retail box of Microsoft Office Home and Student edition contains one-user license of all components included in the pack. The Home and Student edition has software fueled with effective attributes and a clean UI to support proficient customization of data. Retail Box version of Microsoft Office is certainly different from the OEM one. OEM is the virtual version which demands the purchase of the software for a particular PC online. However, retail software is a boxed product. An individual has to buy a separate retail box to complete the purchase. This way, transfer of the software from the existing computer to a new computer is likewise conceivable. 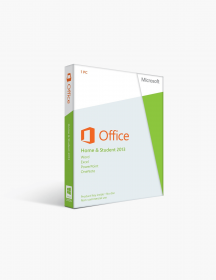 Microsoft Office 2016 Home and Student edition includes storage of data in OneDrive as well. Thus, a user can quickly gain access to recent documents on the go. The attributes perfectly match the requirements of students and individuals who want to avail Microsoft Office 2016 for personal purpose. The software is specially designed to save your time by letting you create and organise files on a user-friendly interface. What Features Are Boxed Inside The Pack? Microsoft Office Word 2016: Previous editions of Microsoft Office Word have allowed users to create and edit documents with ease. However, Word 2016 has taken the level of service to another level with numerous add-ons. As of now, Word 2016 lets users convert a document into PDF file and edit it accordingly. Read Mode view clears all unsettling influences and gives the document a customised look to enhance the reading of data without any annoyance. You can also evaluate the grammar and spellings of information in the document with a dominant feature like ‘Smart Lookup’ which gives information regarding each selected word. Word 2016 also provides an opportunity to editors to use ‘Ink Editor.’ With the aid of Ink Editor, users can scribble over the document which can come out to be very helpful while reviewing a document. Microsoft Office Excel 2016: Out of all the software included in the pack, Excel 2016 has been widely customised to enhance user experience. The customization options have been increased a lot due to the advent of new charts and improved positions of data analysis tools. The new interface of Excel 2016 lets user group data between multiple tables smartly. Therefore, the user can create sheets and edit it as per his prerequisites with ease. Microsoft Office PowerPoint 2016: PowerPoint 2016 has been gifted with the similar ‘Smart Lookup’ feature which is also included in Word 2016. Different transitions are added to provide more editing options to users for making the ppt look more peculiar. Additionally, the zoom feature allows users to evaluate each slide in a detailed manner. The ‘Ink Replay’ options let user scribble text over the slides and even draw diagrams for customization purpose. PowerPoint 2016’s interface has been customised to make it friendlier as well. Microsoft Office Outlook 2016: The prime feature of Outlook 2016 is its size adjustment ability. The software can resize the window as per the required workspace which promotes multi-tasking. The responsive design of Outlook 2016 bundled with another dominant feature, namely ‘MyAnalytics.’ It gives users the chance to know what files they have in common with another email correspondent. 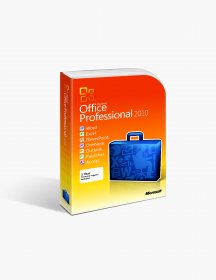 Microsoft Office Publisher 2016: No extra features were added in Publisher 2016 except for some new themes to enhance its UI. Microsoft Office Access 2016: Access 2016 now allows users to import necessary data from Excel whenever needed with the use of ‘Linked Table Manager’ now. Additional changes were made to its interface as well. Others: Visio 2010 has consolidated some new diagrams similar to Excel 2016 whereas OneNote has received a default Quick Note display and few customizations on its notification tray. Ideal Choice of Users: Microsoft Office 2016 has been at the top of its game due to the unusual features attached to it. Users, as well as critics, love the product due to its high functionality and friendly UI. Supports Powerful Editing: With the help of Microsoft Office 2016, users can create important documents, presentations and sheets on a regular basis. Microsoft Office 2016 Home and Student edition make it easy for people to edit documents and engagingly present them using advanced tools. Retail Box Advantage: As you are intending to buy a retail box, the software can be transferred to a new computer without any complications. However, it is advised to read the licensing agreement before making the purchase. 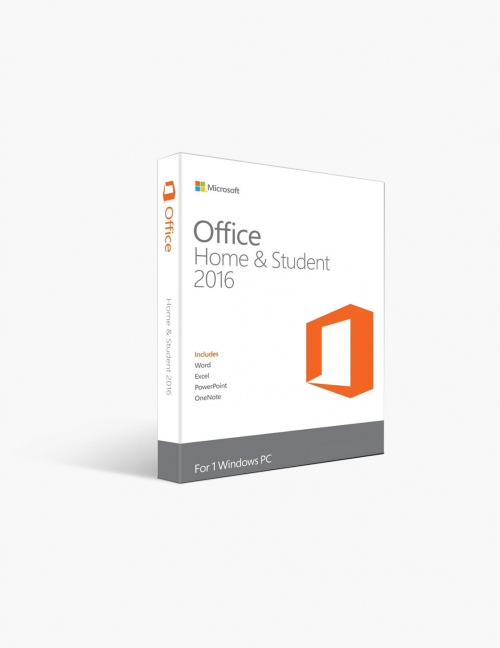 Learn the limitations of transfer of the software to take full advantage of the features of Microsoft Office 2016 Home and Student. These are minimum system requirements for installing Microsoft Office 2016 Student Digital . €79.00 | In Stock Want it Now? Order and receive your download instantly. What edition suits me better?